Apple's suppliers are preparing the next generation iPad mini for mass production and it will "likely feature a high-resolution screen from Samsung" according to The Wall Street Journal, contradicting a report from earlier today that claimed the next iPad mini would not have a Retina display. The piece also claims that Apple is considering offering multiple colors of back covers for the device, possibly complimenting the rumored lower-cost iPhone which is expected to have plastic back covers in a number of colors. Apple is working with suppliers in Asia on its next iPad mini with a high-resolution "retina" display, unlike the current iPad mini that comes with a lower-resolution screen, the people said. The size of the new tablet will likely be the same as the current 7.9-inch model, which was released in November last year. Apple has also been contemplating multiple color back covers for the new tablet, they said. Apple plans to use screens from not only Samsung, but LG and Sharp as well. According to the New York-based financial newspaper, Apple initially planned to use LG and Sharp but decided to add Samsung to the mix in order to ensure an "adequate supply of screens." The current iPad mini uses displays from both Sharp and Taiwan's AU Optronics. The paper does warn that Apple routinely tests various designs and has been known to make changes late in the design process, and there is no mention of a potential release date. It notes that Apple is more likely to add Retina after the announcement of Google's new high-resolution Nexus 7. Earlier today, evidence surfaced in the iOS 7 beta that a non-Retina, A6-powered iPad mini was in development, while a number of analyst reports have gone back and forth on whether the next iPad mini would include a Retina display. When WSJ says, "people familiar with the matter", that means "Apple". This is a clear message from Apple to kill the rumors started today that the next Mini would not have retina. They don't want people rushing out to buy Nexus 7 thinking retina isn't coming. Are these guesses really worth being posted? Hope Apple aren't getting too greedy here. Retina seems fairly much a given standard these days. Another non-Retina model would be a tough sell. Yep. Nailed it. WSJ always means a message from Apple. I don't think rumours affect sales that much. Right now the Nexus 7 is up against the iPad Mini which doesn't have a high resolution screen. That is the fact until Apple changes it. It will come with a Retina display on one side and a non-retina display on the other! "Introducing the New iPad Mini. Twice the displays, twice the possibilities." Sounds a lot like an usual WSJ controlled leak, probably in reaction to today's rumor. If true, Apple's PR is quick! Maybe today's findings are actually about some second new iPad sporting a non-Retina Display? An iPad mini C? Current internals, color plastic casing, $229 price tag? Retina or not, that's the question. Could be both. 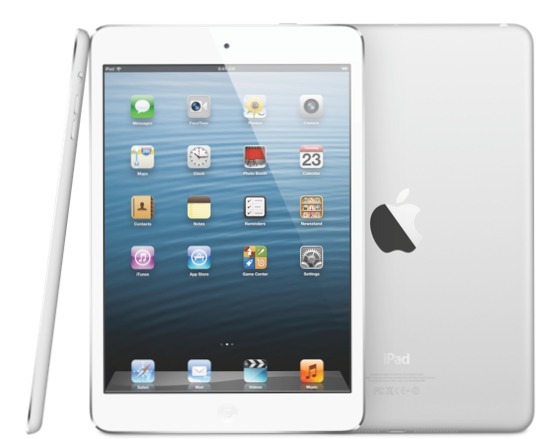 A retina iPad Mini at existing price points and a new dedicated lower price point non-retina iPad Mini.